Maia Edilashvili is a journalist with extensive experience of covering Georgia’s political, economic and social developments. Having been working mostly at the English language publications since 2004, she is currently the editor at Georgia Today and also regularly contributes to Investor.ge, the country’s leading business magazine. In addition, she cooperates with foreign publications such as Transitions Online and ENPI Info Center as a freelance writer. In 2010, Maia worked as managing editor at the Economist’s Georgian licensee Expert, monthly magazine and was also engaged in publishing the Georgian edition of the World in 2010, the Economist’s annual collection of predictions for the year ahead. Previously, in 2007-2009, Maia was editor in chief of Georgian Business Week and before joining it, she edited English version of GBC, Georgia’s business news agency for two years. Maia has also worked at various Georgian publications, including Tabula magazine and Internetgazeti magazine. Maia Edilashvili’s special interests include Georgia’s foreign policy and economic policy. Her articles on these topics have appeared in Lithuanian Foreign Policy Review and Caucasus Analytical Digest. Concerning Maia Edilashvili’s educational background, she holds MA in Journalism as well as Bachelor’s Diploma with Honors from I. Javakhishvili Tbilisi State University (TSU). Salome was born in Kobuleti, Georgia, on October 15, 1988. After finishing Khutsubani public school in 2006, she entered Tbilisi State University and graduated from the Social and Political Science Faculty, Journalism department in 2010. Since 2009 Salome has been working for the Georgian Daily Resonansi, where she has been writing for social and political department. In 2010 Salome received B.A. degree and continued to study at the Sociology of Media, the Masters program. She graduated from the Tbilisi State University in 2012. Since 2011 Salome has been working at the investigative Journalism Studio `Monitor`. At the same time she writes for magazine Liberali as a freelancer. 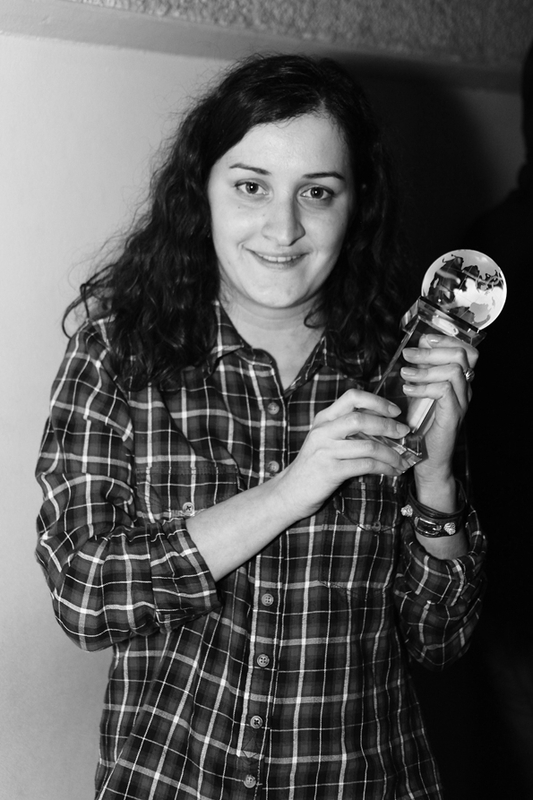 In 2012 Salome Tsetskhladze won her first EU prize as the author of the best TV story. Giorgi was born(10.06.1988) has graduated from Tbilisi state University, faculty of Classical Philology in 2010. Since 2003 Giorgi has been writing for such prominent Georgian publication such are Resonansi (Georgian Daily); Political and social magazine `Tabula`; Musical magazine Ozoni. Since 2010 Giorgi Kikonishvili has been the columnist and blogger at Political and Civil Monthly magazine Liberali. Among his popular blogs ar `Lost in Myths`; Dangerous Limit; Hey Dude, a Human`; etc. In 2012 Giorgi Kikonishvili started working for Maestro TV`s popular video blog project `Weekly Ideas`. In the same year he won the EU Prize in Journalism in the category for the best Video blog of the year.